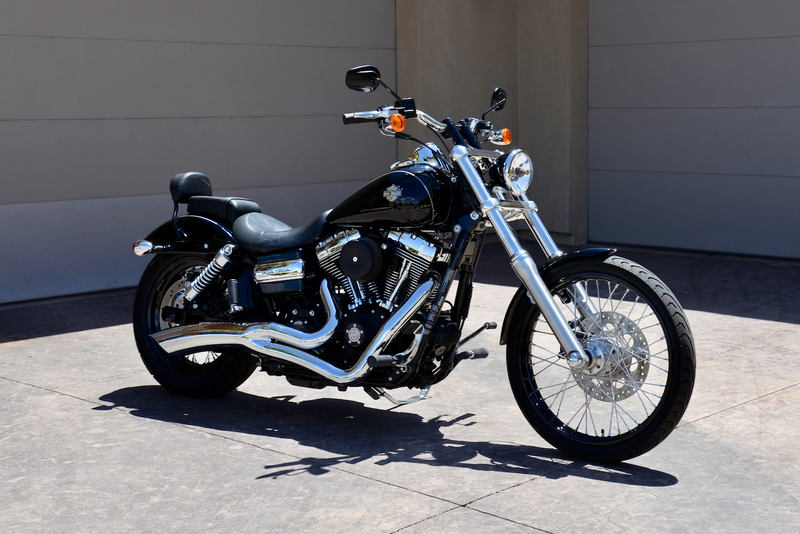 ‘Red Hills Rods & Classics’ is happy to offer you this gorgeous 2011 Harley-Davidson FXDWG Dyna Wide Glide finished in Vivid Black w/ silver pinstripes, and only 510 pampered original miles since purchased new. 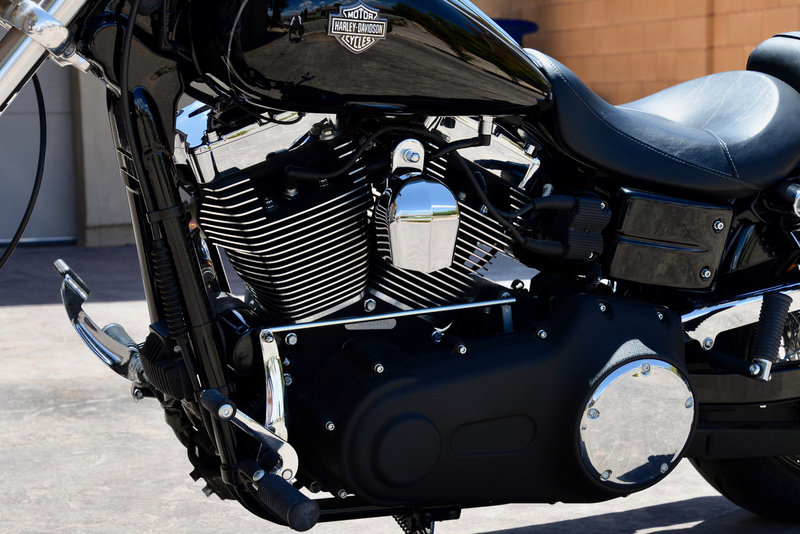 Re-introduced in 2010, the Harley-Davidson Dyna Wide Glide motorcycle is all about attitude, period. 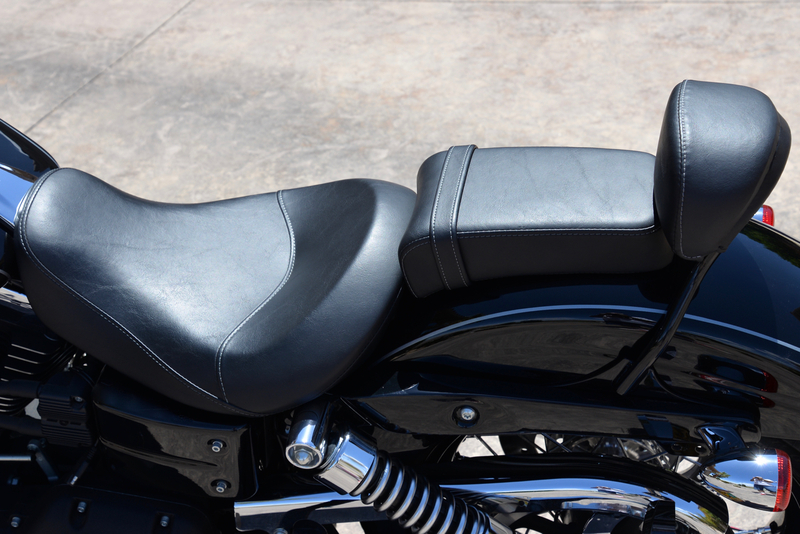 Its tough, dark styling and retro feel gives riders the confidence to sit low and stretch out. 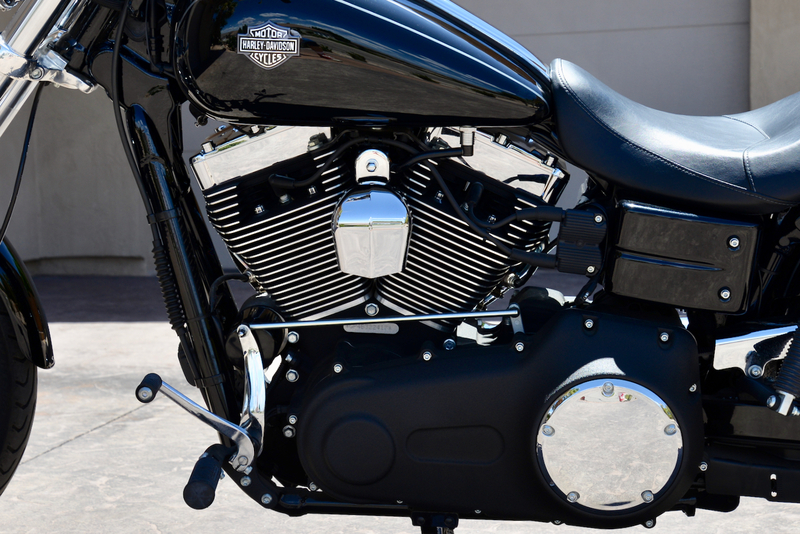 The Wide Glide is raw and true to its roots with a chopped rear fender, black rims on 40-spoke laced wheels, a black tank console, beefy raked-out forks and a swept back sissy bar. 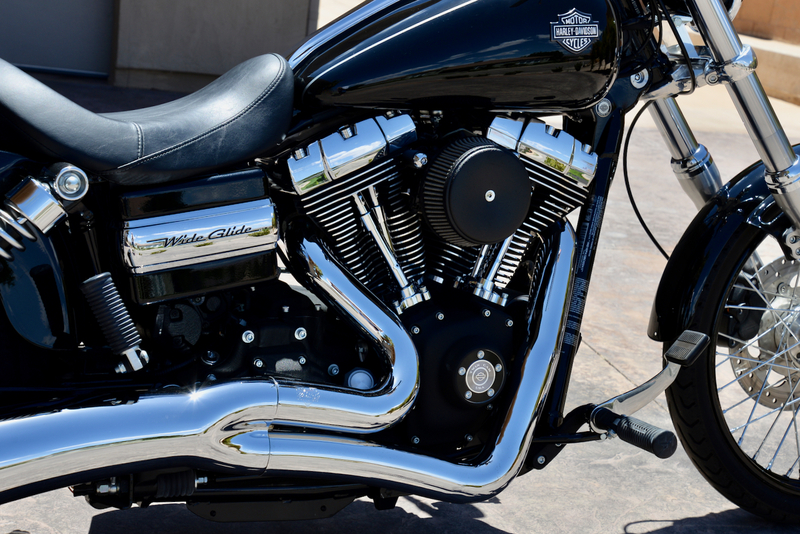 The lowered suspension, internally wired handlebar w/ 4-inch riser and forward foot controls offer a truly awesome ride. 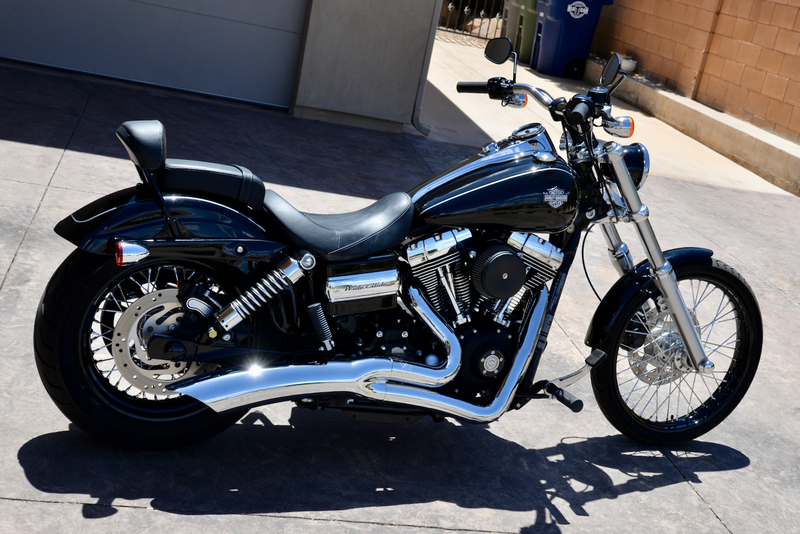 This beautiful example had all of right the goodies installed before leaving the dealership, including: Van & Hines pipes (sounds awesome), factory race-tuner, lowering kit, adjustable heated grips, and side-mounted license plate holder. 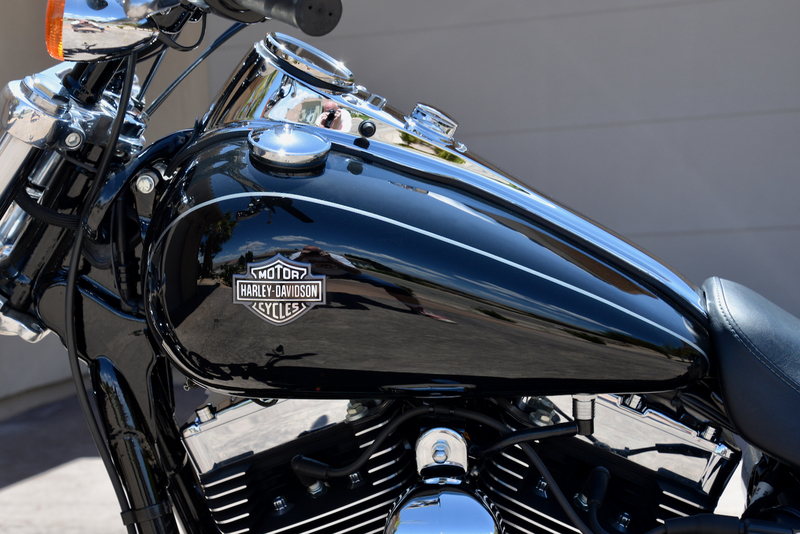 The factory original windshield is still in the original box. 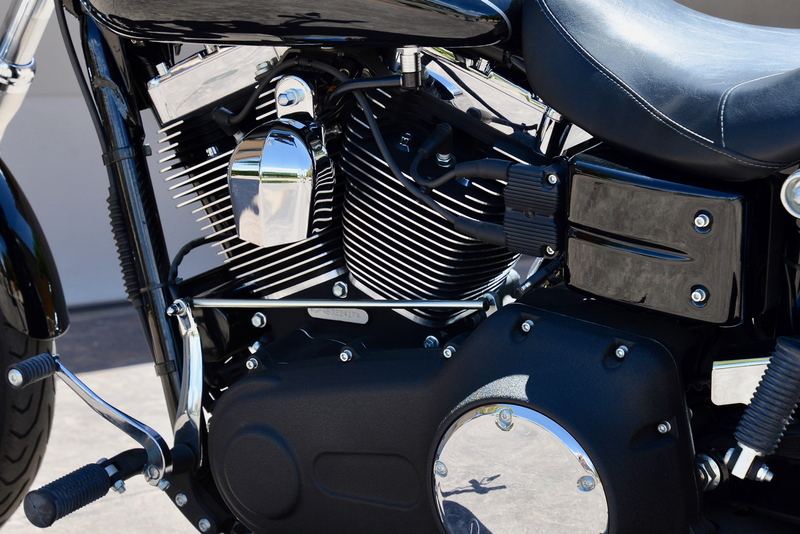 Overall condition is absolutely ‘mint’ throughout! 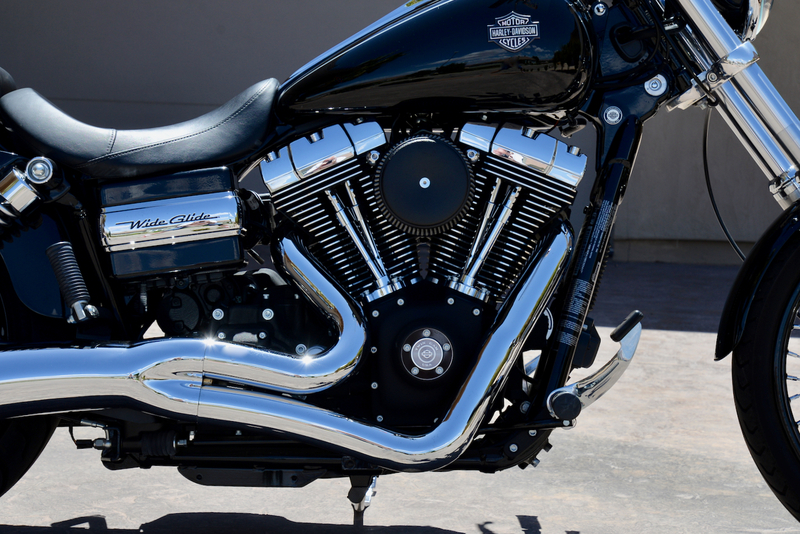 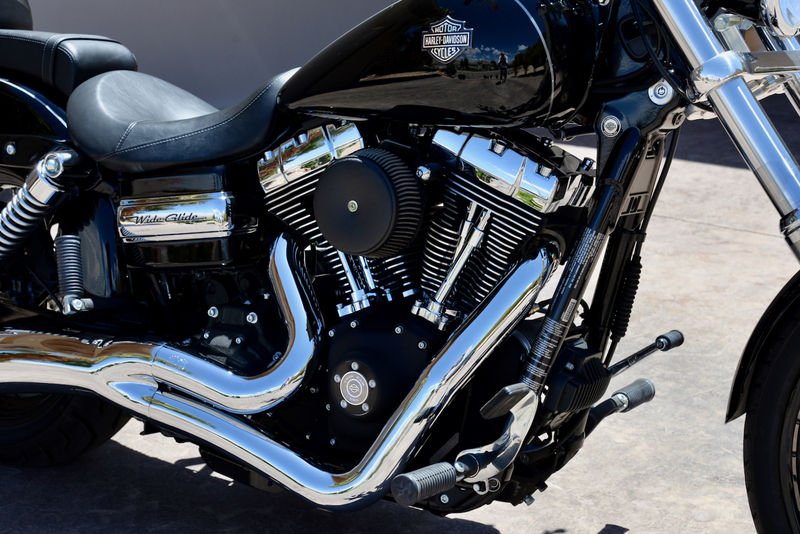 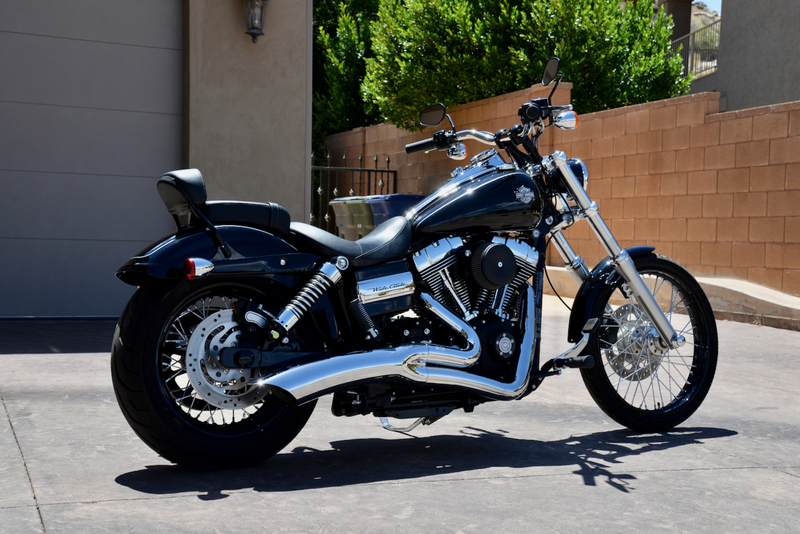 It’s really hard to go wrong w/ Vivid Black & chrome on a Harley, and this bike proves that statement. 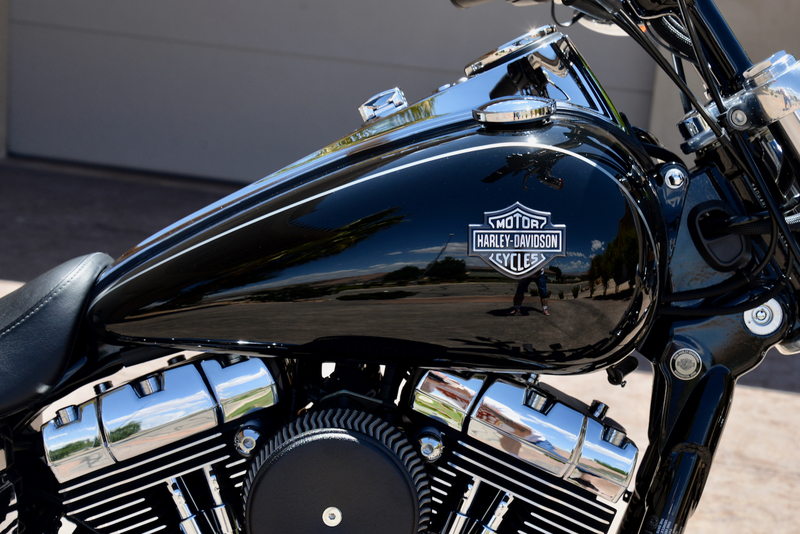 With only 510 miles on the clock, you are basically getting a brand new bike! 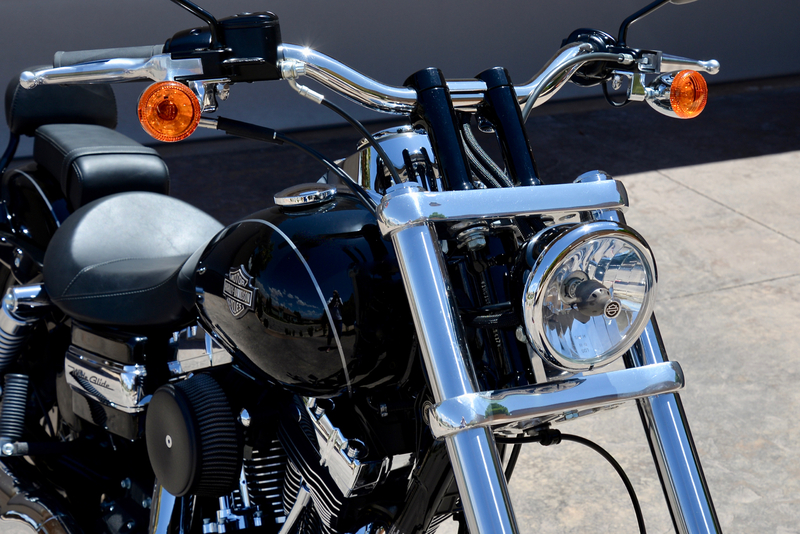 The original Owners Manual, race-tuner, key fob, and original windshield will all go to the new owner. 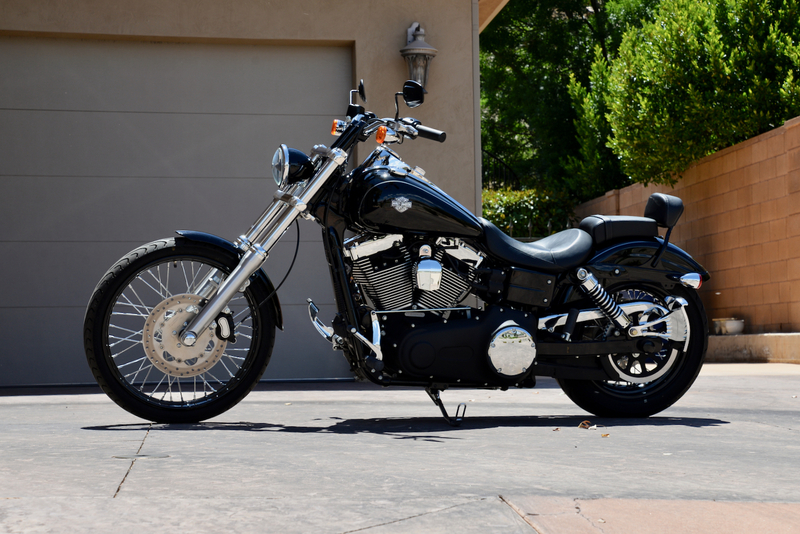 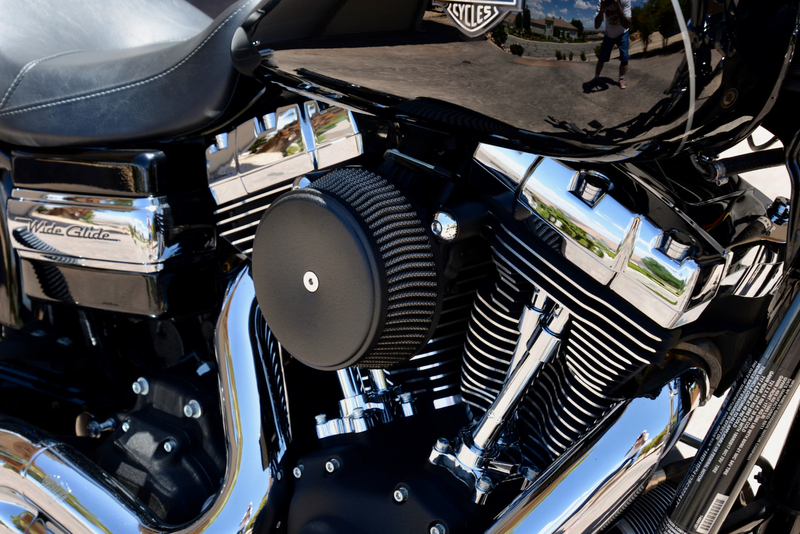 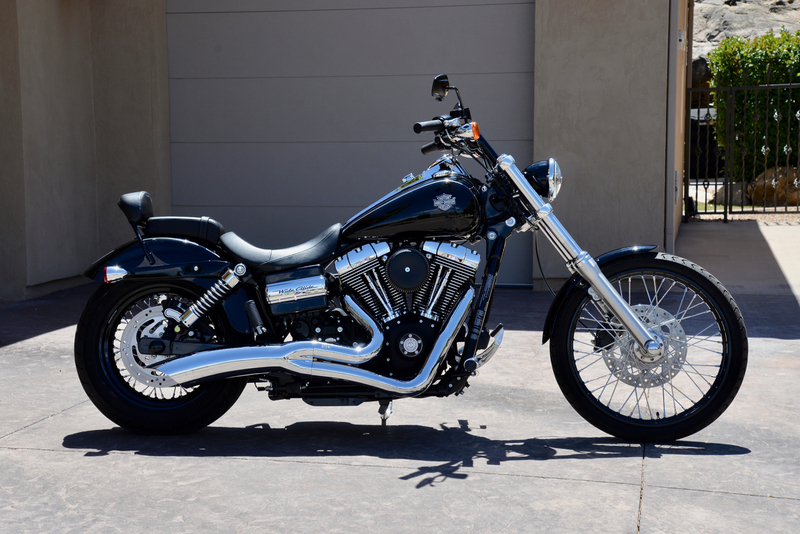 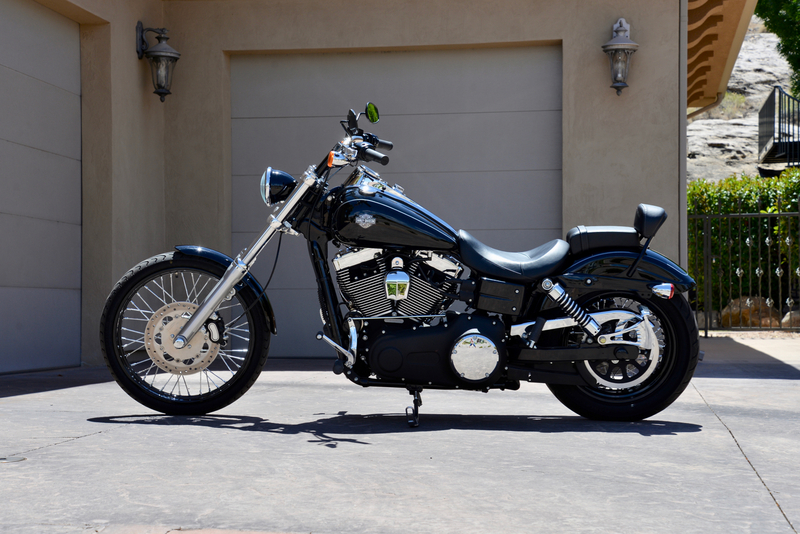 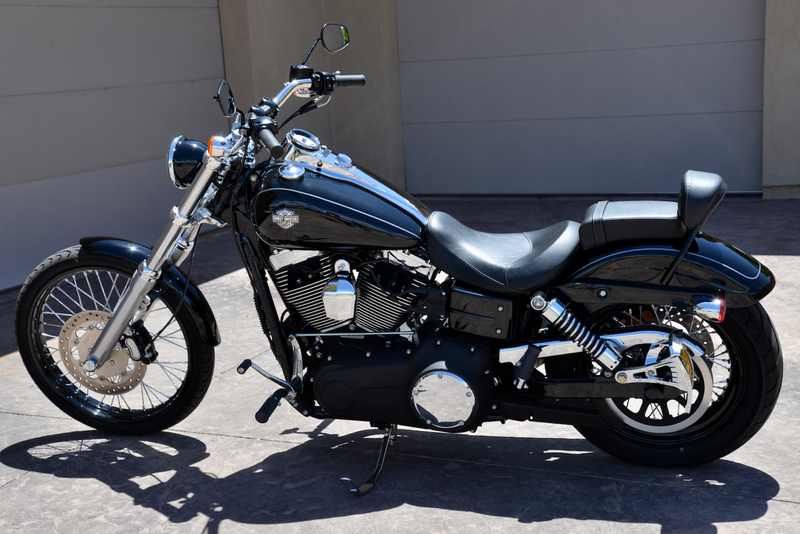 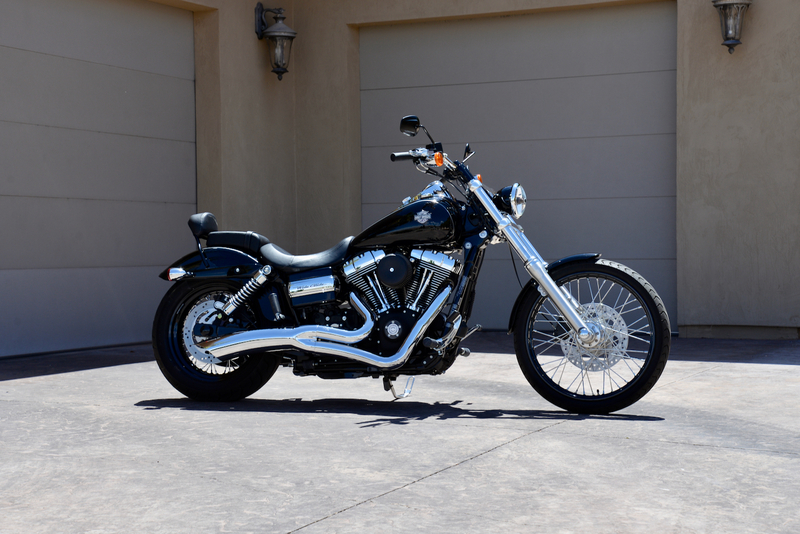 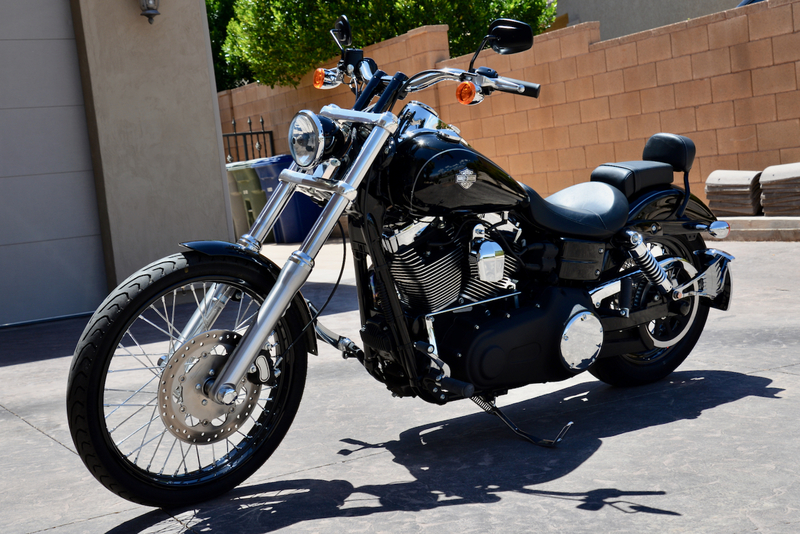 If you are you searching for a sleek, shiny black Harley V-Twin to enjoy this summer, you will want to take a very close look at this gorgeous super-low-mile 2011 Harley-Davidson FXDWG Dyna Wide Glide.